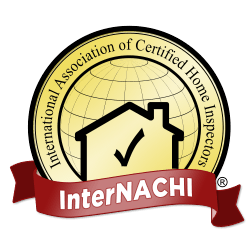 "EXPECT MORE FROM YOUR INSPECTION"
I am an InterNACHI-Certified home inspector dedicated to providing you with fair, honest, and prompt inspections. I was born and raised in Northern Michigan. As your home inspector, not only do I know how to give you the highest quality inspection, I know the affects this Northern Michigan climate can have on a home and tailor my inspections accordingly. I have been in the building trades for over 20 years. I've also been a licensed builder since 2005. You've found a home inspector you can trust and depend on.